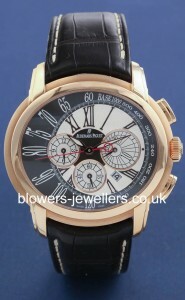 The Audemars Piguet Millenary was first released in 1995. Moving away from the circular and octagonal forms associated with their popular Royal Oak and Royal Oak Offshore, the Millenary favours an oval-shaped case. Typical of Audemars Piguet, a Maison known for producing complicated watches, it was not long before the company offered Millenary models featuring perpetual calendars, dual-time displays, tourbillons and other complications. 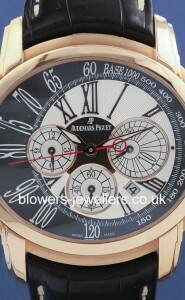 Audemars Piguet has released several ladies’ models of the Millenary, some of which incorporate gem-set cases. Browse Blowers stock of Millenary watches below. Looking for a specific model? Get in touch and we will endeavour to source it for you.